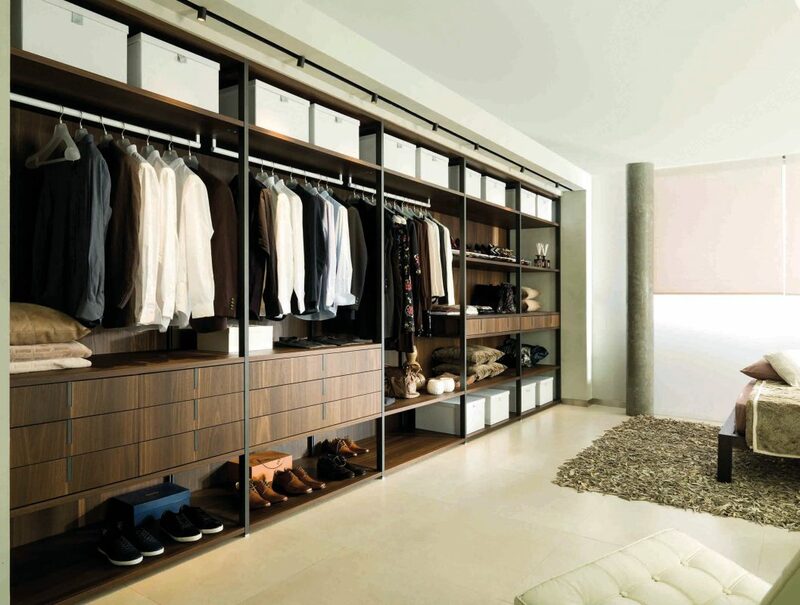 The perfect wardrobe – Gamadecor. How to organize your wardrobe interior. Before ordering a wardrobe, it is essential to consider the interior layout. There are multiple factors for consideration, requiring a detailed analysis of our needs and the way we store our belongings in order to put the available space to the best possible use. The first step is to base the design on the items we will be storing inside the wardrobe. There is a big difference between creating a wardrobe for an adult or a child, or one intended for individual or shared use. The first step is to determine how much space we have available for our wardrobe. Once that’s sorted, the next thing is to consider whether we want to include doors or leave it open. Then, we have to think about the various volumes (vertical sections) that will make up the interior, bearing in mind that they should be no wider than a metre, as otherwise the shelves or racks may bend under the weight. 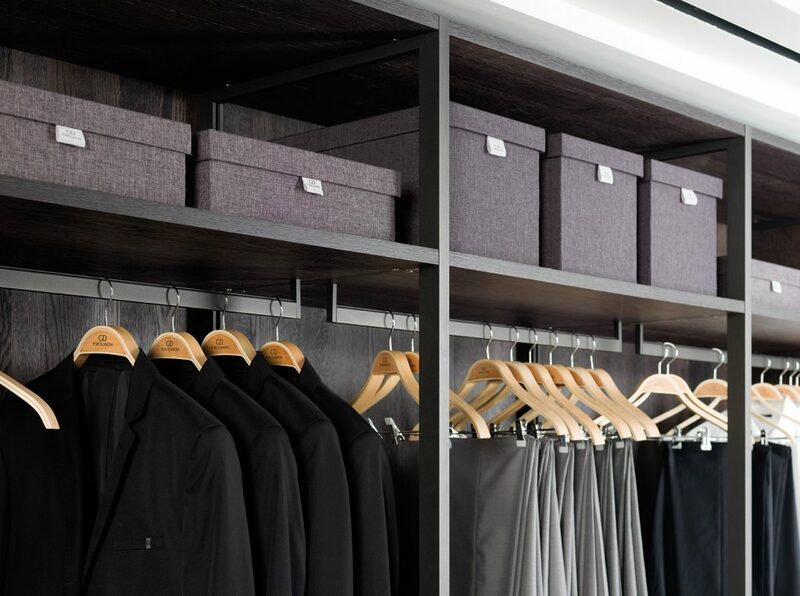 There are multiple options available that will help you to organize the space when designing your wardrobe interior, including rails, drawers, shoe racks and shelves. You need to consider the amount and type of clothing you will be storing in order to decide exactly what you need. These are an absolute must-have in any wardrobe or dressing room. As a general rule, there should be a space measuring between 130 and 170 cm high for hanging longer garments such as coats and dresses, whilst for shorter items like T-shirts, jackets, skirts or trousers, a height of between 90 and 120 cm is sufficient. It is also important to include a set of shelves for storing T-shirts, jerseys and handbags. 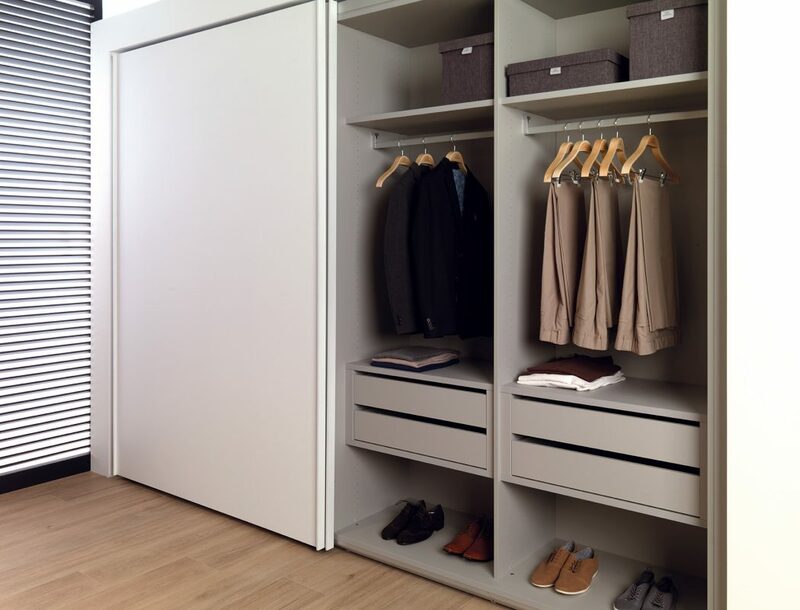 All Gamadecor’s wardrobes can be fully personalized to cater to each customer’s needs, as any element can be installed in the wardrobe at the required height every 3.2 cm, making it easy to tailor our wardrobe to suit our requirements. There is a range of drawer types to choose from: open or closed, with or without pulls…there are even glass fronted options enabling you to see what’s inside. Gamadecor offers a wide selection of items designed for accessories such as ties, belts, bracelets and necklaces…add dividers and organizers to the interior to keep your clothes and accessories in perfect order at all times. 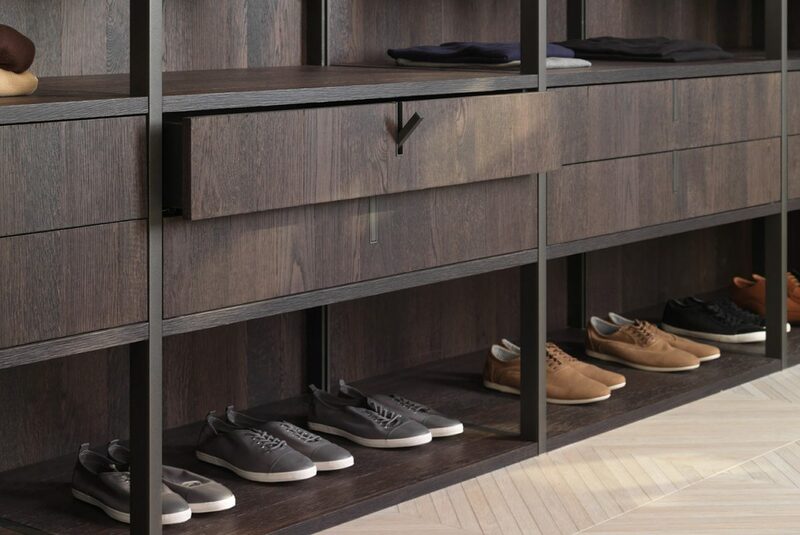 Include a module for shoes at the bottom of the wardrobe, based on the number of pairs you wish to store. Finally, think about the top of the wardrobe, leaving space for clothes from other seasons or luggage. Previous post: Gamadecor’s expansion continues with the extension of its logistics warehouse. Next post: Gamadecor consolidates its position as Spain’s leading kitchen furniture manufacturer.